Format for citation of metadata sourced from Australian Institute of Marine Science (AIMS) in a list of reference is as follows: "Integrated Marine Observing System (IMOS). 2019, IMOS FAIMMS Sensor Network data - Heron Island Weather Station Air Pressure - From 02 Dec 2008 To 10 Mar 2019, https://apps.aims.gov.au/metadata/view/672e030c-3654-43b7-b774-fc36fa9d6c3b, accessed[date-of-access]". All sensors are factory calibrated and then calibrated and serviced every six months. The clocks on all instruments are set each night at mid-night from a central server which is turn has its clock set off an NTP server. Typical time drift in a day is a few seconds. The clocks on all instruments are set each night at mid-night from a central server which is turn has its clock set off an NTP server. The location of all fixed equipment is recorded using a standard GPS so the accuracy should be within 5-10m using WGS-84. All mobile equipment has an on-board GPS and so should have equivalent accuracy although is will be around 10-20m due to the nature of the movement of the buoys. Instruments are replaced and serviced at regular intervals. Each change results in a new deployment. Multiple deployments have been merged and a single data 'channel' has been created for each sensor to make it easier to access and use the data. There is a single metadata record for each channel with the deployment details for the sensor that makes up the channel described in the metadata record. Data are quality controlled by validating against a set of rules (bounds checking, etc) and then flagged using the IODE set of flags. Integrated Marine Observing System (IMOS).  IMOS is a national collaborative research infrastructure, supported by the Australian Government.